Don't take our word for it. Listen to what our customers have to say! 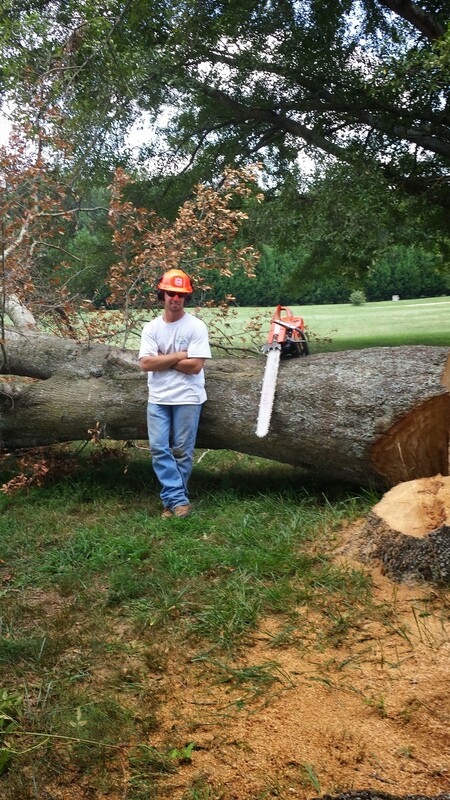 "Aaron has done several tree pruning and removal jobs around our heavily wooded property. His attention to detail and concern to ensure the ongoing health of our trees and input on protecting our house has been impressive." Aaron has maintained this tree (and others) such that the stucco on my house and the tree remain in great shape. Aaron pointed out and removed a large limb that was a threat to our garage roof a couple years ago. The tree and my garage remain healthy! White Oak Tree Service helped us reclaim this path around our garage. Now the plants get the sun they need, I don't get whacked with tree limbs and the area just looks great. 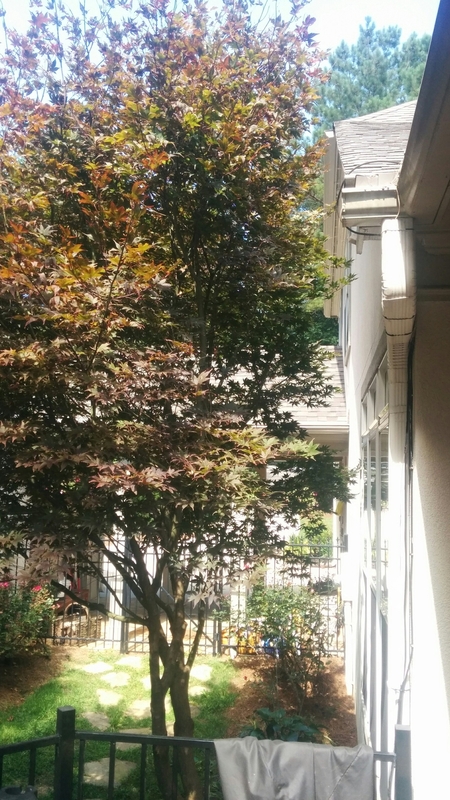 We love these crepe myrtles tall and flowing. Aaron has ensured they are the way we like them while keeping them tamed just enough to cut down on their impact on our pool. "We had a dead tree in our back yard and two others that were sick looking. Aaron and his co-worker very deftly removed the dead tree. It was amazing how quickly this was done and how thoroughly they cleaned up the site afterwards. One would hardly know anything had been removed. The price charged was quite fair. He also identified the sick trees and suggested not removing them just yet, as they were a type of tree that may recover from diseases and climate damage. Overall we could not be more pleased with the service we’ve received." Removing a limb from over a roof. 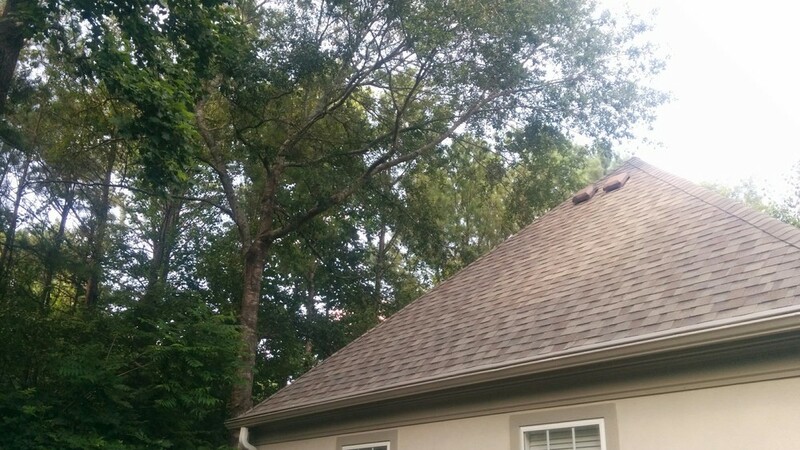 It is extremely important to keep these limbs away from the roof to prevent mold and pests like ants, termites, and rodents. It is easy to overlook our silent invaders encroaching on our property. We at White Oak love all trees, but realize they need to be kept in their place with proper trimming and ultimately removal when necessary. Bringing down a large tree and removing it from the premises.